CALGARY -- Canadian Pacific Railway says it delivered record shipments of grain and biofuels in October. 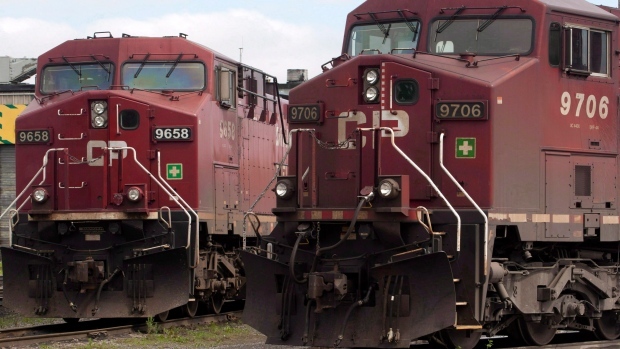 The country's largest railway says it has moved 3.2 million tonnes of grain since the new crop year on Aug. 1 and that it set a shipping record in Saskatchewan in the first three months of the season. Canadian Pacific is investing to address challenges that slowed last winter's train car movements and says 500 new high-efficiency hopper cars are slated to be delivered by the end of the year that will carry more grain that can be loaded and unloaded faster and require less maintenance.